Also known as “Volcano of Fire” is an active volcano at 3860 meters above sea level and is among the states of Colima and Jalisco. Today, in Colima and Jalisco, there are a lot of people who would be endangered if a volcanic eruption takes place, for example Comala and Cuauhtémoc in Colima and Tuxpan, Zapotitlan and Tonila in Jalisco. 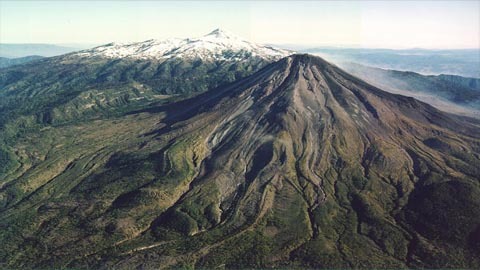 The volcano Nevado de Colima neighbor to the highest point in the western sector of the MVB. Over the past 500 years, the Colima Volcano of Fire has had a frequency of explosive activity with a number that exceeds the 30 outbreaks among which the 1585, 1606, 1622, 1690, 1818, 1869, 1890 , 1903 and 1913, to name a few. It is a good choice if you love nature and the extreme or if you want to spend with the family, the Nevado de Colima is a choice and an unforgettable experience. For more info visit our website. This entry was posted in Eco Tourism, Nature and tagged Birdwatching, live volcano Mexico by abrilrg. Bookmark the permalink.